Finally we reach to the last station of let's fight ghost. 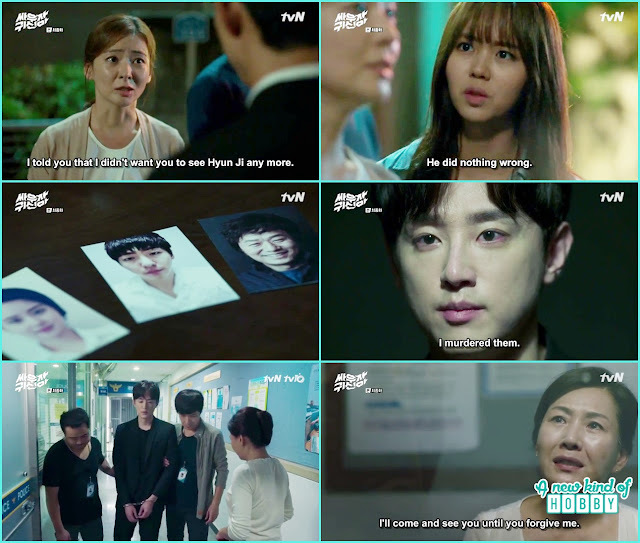 All we were curious about the future of Hyun Ji, Bong Pal and Professor Joo. It was a really tense scene. The three of them were in full action attacking each other. But Professor Joo evil spirit was 10 time powerful then Monk mYung and and Bong Pal. Though Monk Myung used all spirits and his blood to make his sward more powerful but still they couldn't match up the power of evil spirit. Monk Myung Monk as ask Hyun Ji to find the ritual toll which is the only way to save their life and finish of the evil spirit. We wonder why still Hyun Ji sit idol and did nothing nor put and effort to find ritual tool and help them. When Monk reminded she did a little hard work by finding the ritual tool and throw it towards Bong Pal. Yes it was the final moment the evil spirit vanished away as soon as Bong Pal posses the ritual tool. Monk Myung was seriously injured. We thought he might have been died same for Bong Pal but we laughed when Monk told Bong Pal take off your hand off so i can breath. Police came in the last. Professor Joo was arrested and will have to face the legal terms for all the evil doings and murders he did during the 10 year time period. Bong Pal tool Hyun Ji her home, her mother was happy to see Hyun Ji and was off seeing Bong Pal. She requested him not to show up as Hyun Ji already been in danger twice because of him. It was a sad scene our sympathies for Bong Pal. Also we can understand Hyun Ji's mother feeling as she don't want to leave her only child to fave danger after waking up from coma. 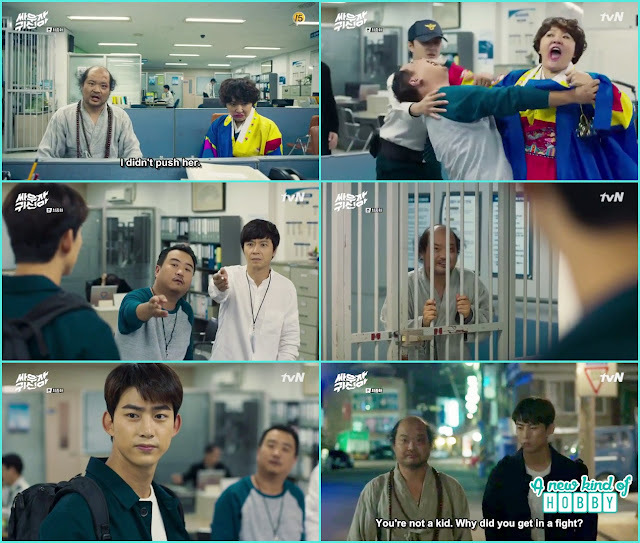 Professor Joo calmly accept all the crimes and charges, Oh Man now he is arrested he become so polite and righteous. Her mother came to visit him but it was too late for her to come anyhow it was good for Professor Joo as he missed her a lot. Hyun Ji and Bong Pal keep in touch via mobile phone. 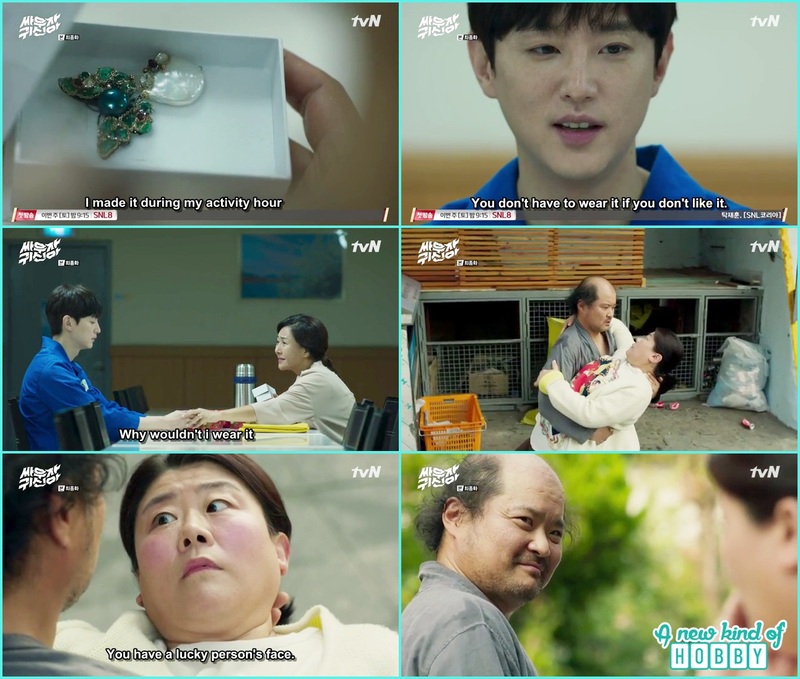 Hyun Ji make a promise to make it into Bong Pal university so they can easily meet. For this she really did a hard work by studying day and night for university entrance exams. Every thing was fine till now but still something was off. As we were curious Hyun Ji is save her memories are back what about her ghost seeing abilities? As Monk Myung mentioned she will forget the all the bad memories and loose the ability to see ghost as the time pass. But it wasn't so she still van see ghost. It was the day when university entrance exam result happen to be announce. She was waiting on the bench to kill time suddenly a ghost pop up. Hyun Ji didn't take notice the ghost surprised she can see me, why isn't she getting scared, what's the reason she pretend not to see me. The next moment Hyun Ji hit him saying "get lost .. will you". It was so sudden we along the ghost was shocked and surprised. Bong Pal was waiting for Hyun Ji admission result and become sad to hear she couldn't make it this year. He has to wait for 1 year more to meet her. Oh poor Bong Pal he become all disheartened while Hyun Ji wasn't around. He was lonely and missed her a lot. It was a freshman welcoming party the juniors invited Bong Pal. He agreed as he has nothing to do in the evening. At the freshman party he surprised to see Hyun Ji so were we. Finally Hyun Ji kept her promise and made it in the university. Monk Myung during an argument end up at the police station. Bong Pal came looking for him. It remind us of the scene in previous episode where Bong Pal was in the same situation and Monk Myung came looking for him. On the way back Bong Pal ask Monk to take a break from the work and come live with him. As he is the only family Bong pal has now. Oh cute he was too caring, after loosing his parents he come to knew what importance a family has. It was also his way of caring Monk who cared for him from his childhood and saved his life. In Rang take over sundae soup business while Chul Sang couldn't make to graduate this year. Hyun Ji friends requested her to come along with them on a blind date. It was new for Hyun Ji thought she already had a boyfriend she join them and ignore bong Pal call saying she is busy with the assignment. At the blind date one of the boy make a video and send it to one of his friends saying they are having a good time with the most beautiful girl of freshman year. The video happen to pass by few more friends and end up to In rang. He called Bong Pal and told where Hyun Ji is. He became angry and came to take Hyun Ji. She was surprised seeing Bong Pal. It was a nice scene we enjoyed how Bong pal take care of Hyun Ji. 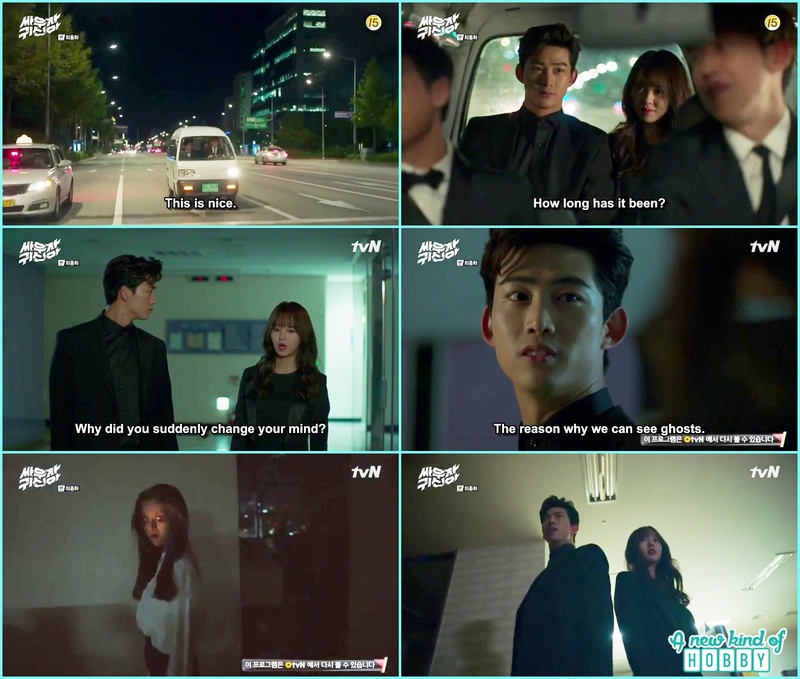 He walked Hyun Ji home, as they were about the reach Hyun Ji receive her mother call that she is in seoul. Knowing this Hyun Ji told Bong Pal to leave but he wanted to say hello. Hyun Ji didn't agree but couldn't do as of Bong Pal hold her hand and rang the bell. Hyun Ji mother was too straight forward she clearly told she didn't like him nor like them to be dating. Bong pal said i'm here to ask for your permission. She replied what if i refuse, will you not going to date her? Seriously so cruel. She didn't knew the reality how Bong Pal help and save Hyun Ji. If she knew all about it she awarded Hyun Ji to Bong pal. After a long conversation she approved. Professor Jo was having a hard time in the prison but what to say it was what he did he had to pay. A good thing he become close to her mother. He made a jewellery ornament for her mother and she was too happy to see her son's hard work. Now we feel it wasn't well with Professor Jo his will power to fight with the evil spirit was too weak so he did all the worse things he shouldn't be done. Monk Myung had a happy encounter with the building lady at recycling spot. Hyun Ji on the way to meet Bong Pal happen to encounter the unni ghost Kyung Ja. She was all enjoying her life with her honey's. She didn't recognize Hyun Ji neither did Hyun Ji. But Hyun Ji think that she might had met him before. Bong Pal was happy talking with senior Seo Yeon at the university. Hyun Ji saw and interrupted saying "i'm his girlfriend". Her act show she was way being too jealous of Seo Yeon as a ghost and as a human also. That moment when the male lead Yoon Doo Joon of Let's eat season 1 & season 2 appear in the episode. We though story might took a new turn and become excited for no reason. Hyun Ji and his conversation reminds us of Let's eat season 1 & 2 and wish we had a lot of time to watch that brilliant food drama again. Our mouth watered seeing how beautifully he describe the dishes and brief how to eat them heartily. 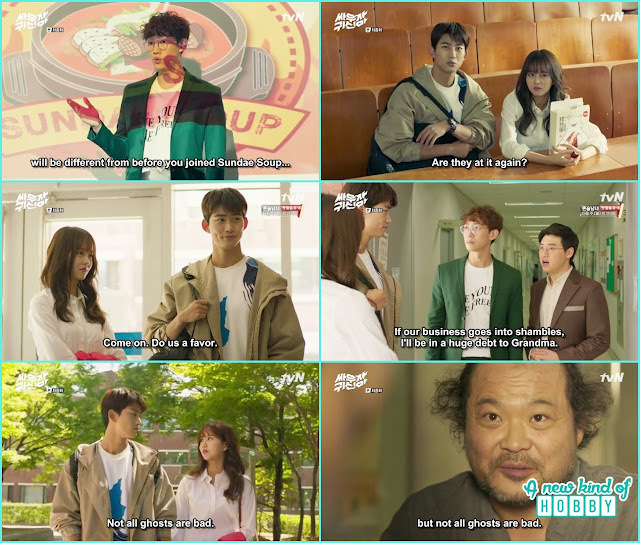 He also offer Hyun Ji to join his club name "Let's eat". The same moment Chul Sang interrupted saying "Hang around there" and he walked out. After seeing him we wished to see let's eat season 3. In Rang and chul sang didn't gave up to the club Sundae soup and tried to drag Hyun Ji and Bong Pal to join the club. But both didn't show any interest. In Rang receive a call for Ghost exorcism and ask Bong pal to join them, with out him they can't do business. But Bong Pal neither Hyun Ji was interested any more. Both left but Hyun Ji talk to Bong pal and told him not all ghost are bad they just need some care love and a way back to where they belong. Bong Pal talked to Monk Myung and got an answer. There is no better job to help the ghost get over their grudge and show the a way to their world. Finally Bong pal understand what to do. The four Bong pal, Hun Ji, Chul Sang & In rang were back to their official uniform an was on the way to do the exorcism. The story ends here. It was nice watching a drama of supernatural elements. Thought we become too scared while watching few of the episodes. But realize these things exist. The theme and story was unique and new for us. We learned lot many things. 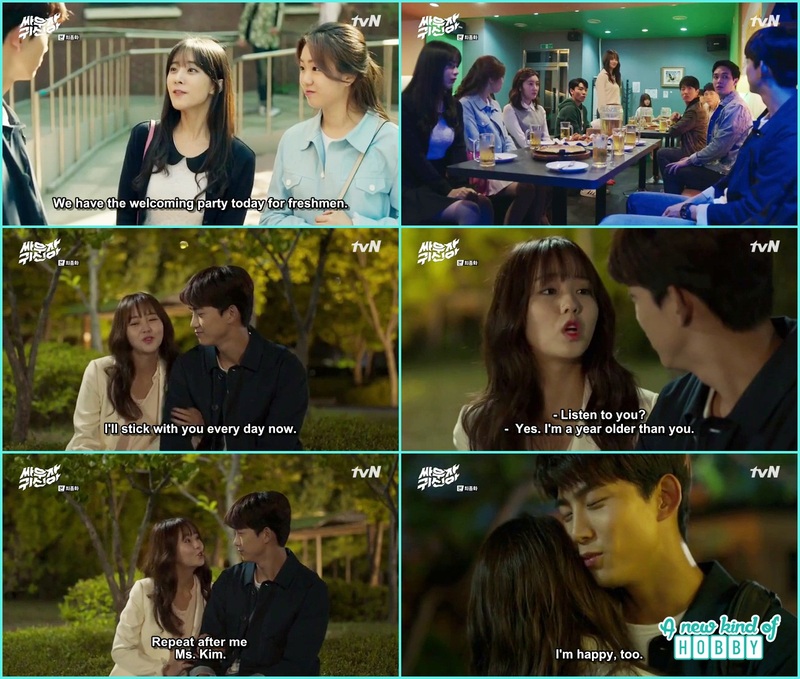 There were no boring episode, every episode was filled with ghost, thrill, action, comedy and romance with lot of food. A good chemistry between the lead cast. We scared, We laugh, we cried, we care and feel sad along with the characters. After finish watching every episode me and my sister did argue about things that it should be like this, it shouldn't be like this and shared it in our review. It wasn't a simple ghost theme drama we also enjoy the foodiness in it. The guest appearance of Let's eat lead casts in the drama made us realize its the same team who made let's eat season 1 and 2. Also we think its too early to end. It should be continue to episode 20 or 24 something. Hoping to see another sequel till have a nice k drama watching. 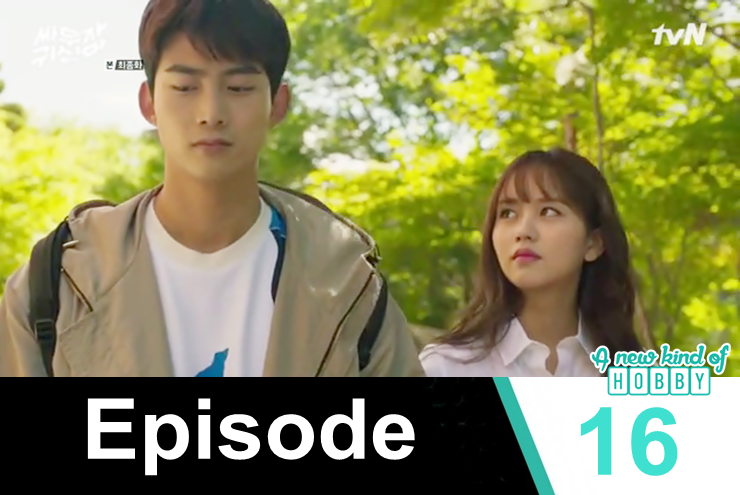 Let's meet in another k drama review.